The new Little Bigfoot Giraffe! 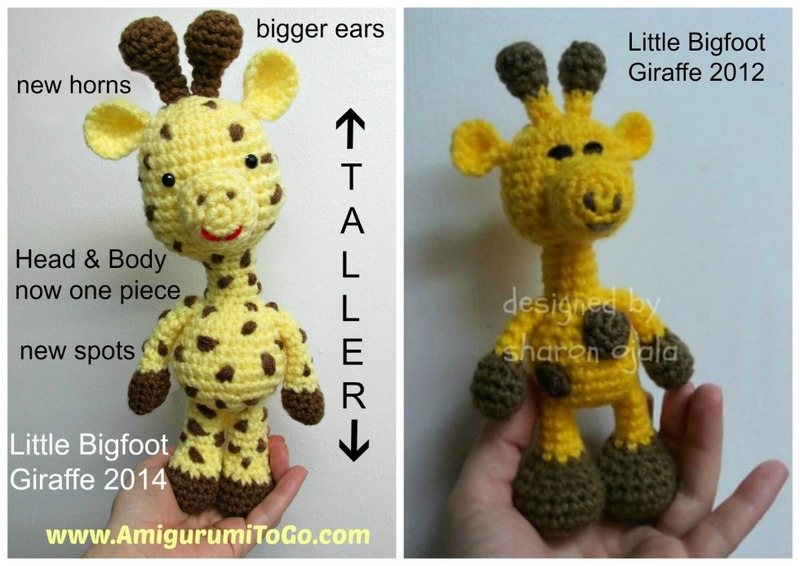 Little Bigfoot Giraffe 2014 is taller and he got new horns, bigger ears and new spots. His head and body are now one piece which is so much nicer ~> less sewing! He is 12 inches tall from the feet to top of the horns. 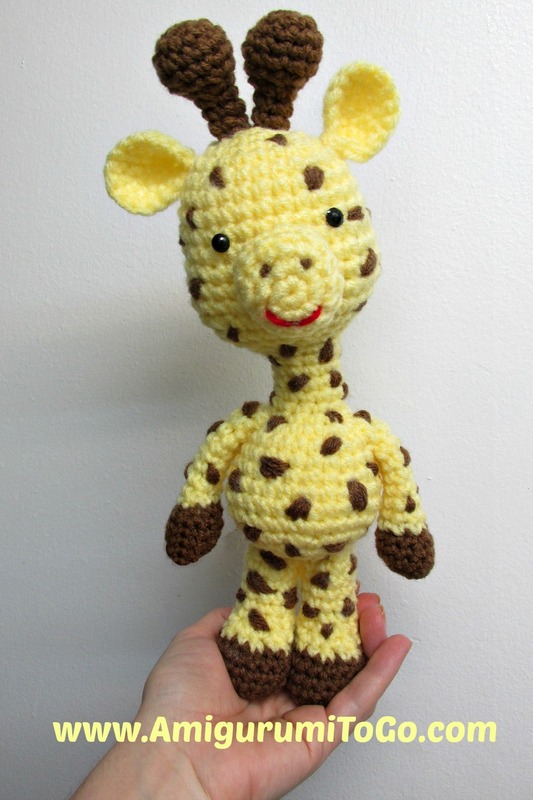 The old giraffe pattern never had a video tutorial so this one will be brand new! I'm excited to get filming tomorrow. A video tutorial can take a week or so to film and edit so check back soon and hopefully the new pattern will be posted and the tutorial uploaded to youtube! Finished items made from patterns belonging to Amigurumi To Go can be sold. You are amazing Sharon! Such creativity. Thank you so much for sharing! I look forward to the updated pattern. Thanks so much for these patterns. I have learned so much from you. Sharon, My grand daughters love giraffes. Thanks for this one can't wait for the pattern. Have you made a Texas Long horn Little Big Foot . I am sure that would go over Big Time. Your instructions are grand. Thanks so much. I'm so happy you found this blog and that you are excited about crochet.. this is like music to my ears!! You can follow the blog by email so as soon as I post then you'll get an email update. Scroll down this page past all the links to patterns, down to where there's a picture of a cat that says "click me" then under that is a link to an amigurumi directory then under that you'll see "follow this blog by email" and you just type in your email. I don't get your email personally it's all run by google and they don't sell emails or anything like that. Or if you are on facebook then look for my page "Amigurumi Freely" and there you'll also get my updates. Plz keep creating new creatures for all of us to try. You are an incredible teacher! I love when u create a series of animals with a theme. Hope to see more a tour amazing work!